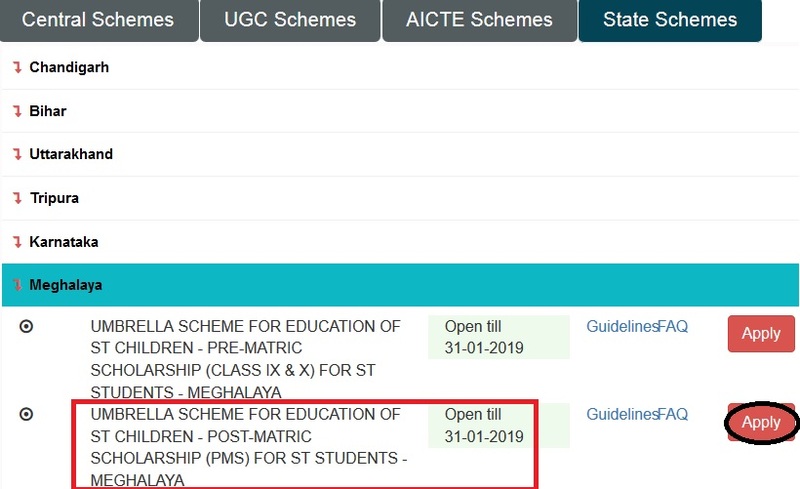 Umbrella Scheme For Education Of ST Children – Post-Matric Scholarship (PMS) For ST Students – Meghalaya for the year 2018-19. The scheme covers professional, technical as well as non-professional and non-technical courses at various levels including correspondence courses covering distance and continuing education. ** Scholarships are paid to students whose parents’/guardians’ income from all sources does not exceed Rs. 2.50 lakhs per annum. ** All children of the same parents/guardian are eligible. 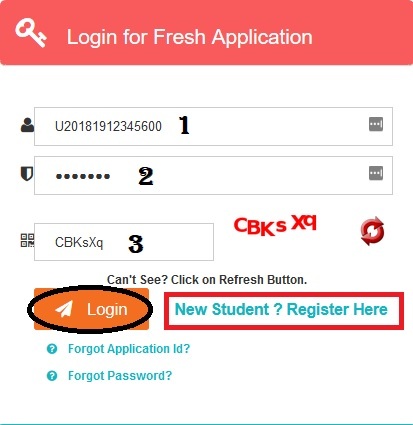 ** Scheduled Tribe candidates who have passed the matriculation or higher secondary or any higher examination of a recognized University or Board of Secondary Education are eligible. ** The scholarships are available for the study of all recognized post matriculation or post secondary courses in recognized institutions except certain identified training courses like Aircraft Maintenance Engineer’s Courses, Private Pilot Licence courses etc. ** Students studying through correspondence courses are eligible. ** Employed students on leave without pay for the entire duration of a full time course are eligible for course. ** The scholarship holder under this scheme will not hold any other scholarship/stipend. ** Students who have received coaching in any of the pre-examination training centers with financial assistance from the Government will not be eligible. Step 2 : Then Select State Schemes tab and Click on Meghalaya in the drop down list. 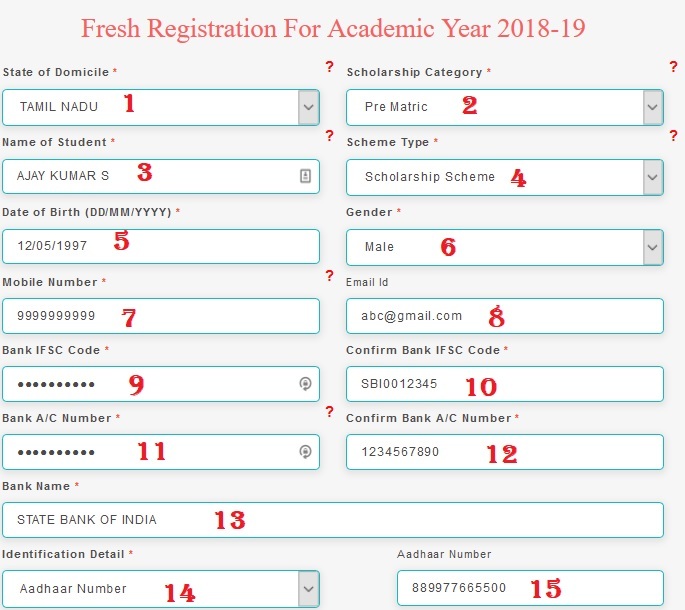 (a) Fees for enrollment/registration, tuition, games, Union, Library, Magazine, Medical Examination and such other fees compulsorily payable by the scholar to the Institution or University/Board. ** Study tours charges upto a maximum of Rs. 1600/- per annum. ** Thesis typing and printing charges upto a maximum of Rs. 1600/- for the research scholars. ** Additional allowances to the ST students with disabilities at the prescribed rates for different degree of disability. ** Annual allowance of Rs.1200/- for essential/prescribed books, besides reimbursement of course fees to correspondence course students. Central assistance to States/UTs for setting up of Book Banks is given @ prescribed rates. For the degree courses maximum limit is Rs. 7500/- for a set of books for two students and for Post-Graduate course @ Rs. 5000/- per student. Last date to complete the online application for Umbrella Scheme for Education & Post-Matric Scholarship For ST Students 2018-19 is February 28, 2019. I applied for scholarship last year but I have not got anything. I don’t know what mistake I did. Do reply, Is income certificate compulsory for applying? i want to know, whether students studying outside the state are eligible (or) not?